California emcee, Young B The Future passed away of apparent gun shot wounds tonight (December 8). Young B was a rising star in Battle Rap and delivered a decisive in-building victory over B Magic during Snoop Dogg’s Gladiator School this Fall (September 22). Young B, who hails from Southern California’s Inland Empire, explained to BattleRap.com how he landed on the high profile Gladiator School card. 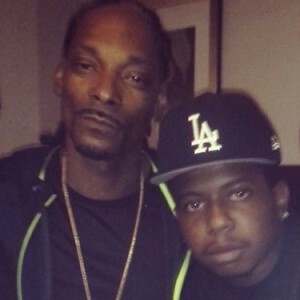 Also in the interview, Young B shared that he was surprised that Snoop Dogg was familiar with his previous battles. Prior to B Magic at Gladiator School, Young B The Future notched strong showings against Super Villain Almighty during King Of The Dot’s Prove Yourself, AB Hogish at Fresh Coast’s Battle Of The Bay 6, as well as number of AHAT West Coast Division battles. RGF extends its condolences to family and friends of Young B The Future.